Julia is a follower of Christ, wife, mother, writer, communicator, licensed mental health therapist and Pastor of Small Groups at Bayside Community Church. She loves tea, music, exercising, laughing with friends and connecting people to their God-given potential. 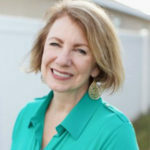 Her writing has been featured in Christianity Today’s on-line magazines, Gifted for Leadership, Leadership Journal, SmallGroups.Com, and Marriage Partnership. 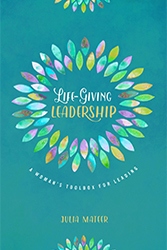 Julia’s book, Life-Giving Leadership: A Woman’s Toolbox for Leading, helps women in leadership lead with the life-giving nature of Jesus. She is the founder of Generation Eve, an on-line community for women focusing on faith, leadership, relationships and parenting. You can connect with her at www.generationeve.com. Blythe and her team provided excellent, professional service as I navigated through the publishing world. Their commitment to me during the publishing process was exceptional, BUT the relationship did not stop after publishing. They are committed to maintaining on-going relationships with their writers through monthly on-line meet-ups, an agency blog, and Facebook groups. As a writer, I love being a part of the BDA family and community!